Hi, guys! This is coming so late but happy new year to you all! I'm so excited about the new year and all that I want to achieve. 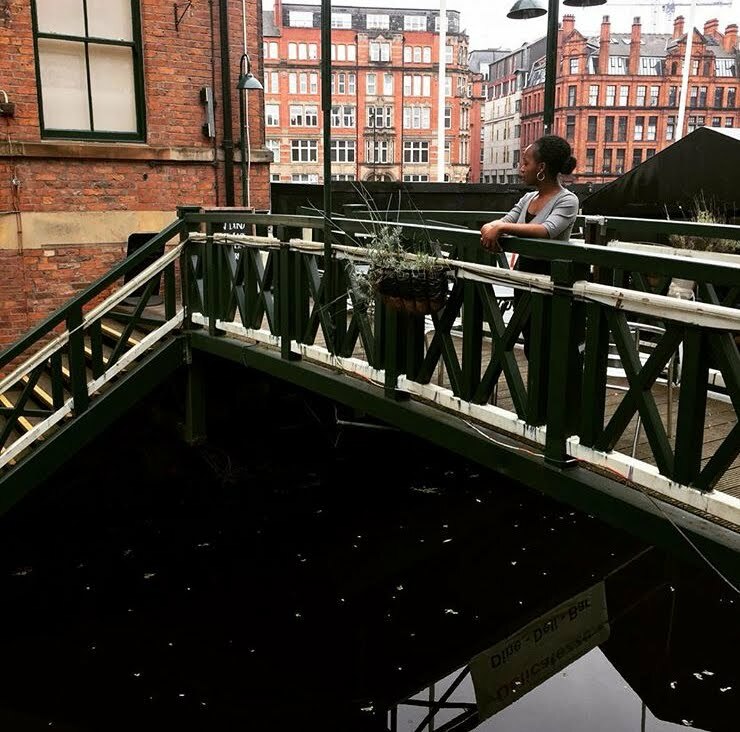 I actually put together a post talking about goals and aspirations for the year but I decided not to post it as I wasn't feeling it and didn't want to bore you all. Basically, this year I just want to improve in every area of my life. Be a better me, learn new skills and more importantly impact the lives of people around me positively. Blog-wise, I want to be more consistent and grow my audience. These are my goals for the year in a nutshell. Anyways, back to the purpose of today's post. 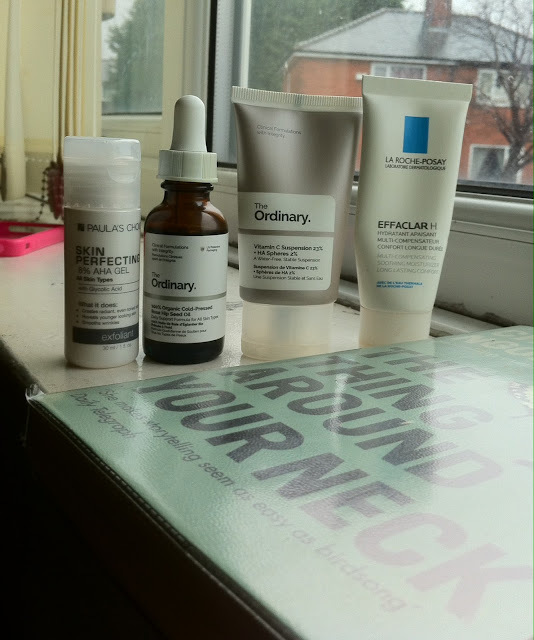 DISCLAIMER: I am not a professional in any way, my skincare finds are through trial and error. Also, please be mindful of the fact that what works for me might not necessarily work for you. Everyone's skin is different. Thank you. So I read about The Ordinary brand in a magazine and I was impressed when I read about how they offer skincare products that are usually expensive (e.g. 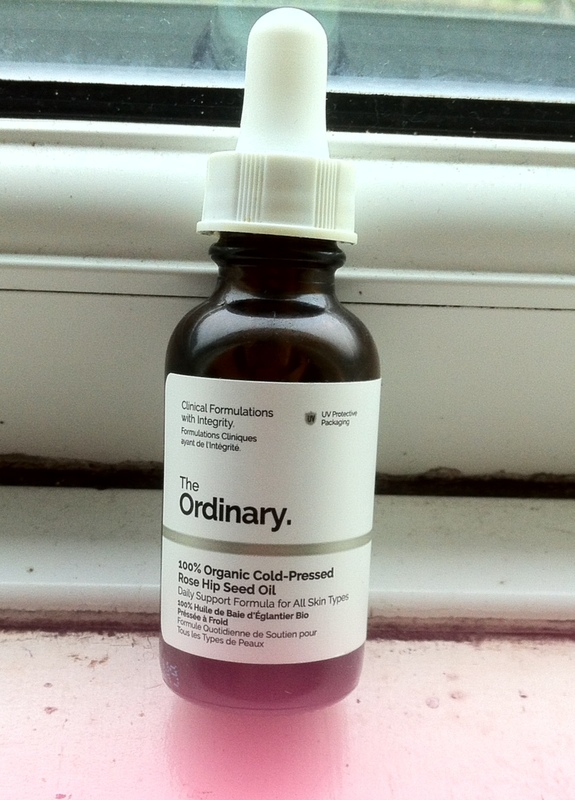 serums, acids and so on) for less. I was looking for a Vitamin C serum as Vitamin C helps improve the appearance of scars, increases cell turnover and reduces hyperpigmentation. I had been considering getting the Mario Badescu Vitamin C serum but at £40 it's quite expensive. When I saw that this one was only £4.90 and was getting good reviews, I decided to try it. It's a water free stable suspension and I apply in the mornings after washing my face. For the first few days, it made my face really tingly for about 5 minutes then I got used to it. It was okay, for the price. I wouldn't call it a spectacular product though. In all the products I purchased, this is my favourite. It is a chemical exfoliant which is much more effective than a physical one e.g. facial scrub. I didn't even get a full sized version, I got a trial one. The trial size is 30 ml and it costs £8. I have been using this for two months now and it hasn't run out. I apply it at night after washing my face. I use it at night because AHAs (alpha hydroxy acids make your skin more prone to sun damage). Initially, I used it every two days because it was my first time using a chemical exfoliant and I wanted to be on the safe side. Eventually, I started using it every night and guys, it actually works. When I wake up in the morning my skin is so smooth, my pores are clear and my complexion is even and beautiful. It has been fading my hyperpigmentation scars. I know this because I got a new scare recently and it disappeared within days, I kid you not. Obviously, my older scars will take more time so I'm being patient. I really love this product. On the Paula's Choice website, you can get helpful skincare tips and they even advise you about what product to get depending on your skin type. I bought this on Feel Unique for £9.50. Boots and Superdrug also have it but they sell it for £15 and it's the same 40 ml. 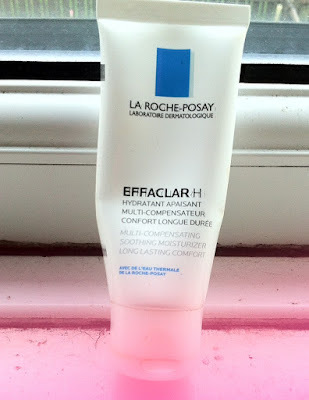 La Roche Posay is a French brand that is very popular. I decided to buy this after reading a lot of positive reviews about how good a moisturiser it is. I've actually run out of it now but I loved using it. I applied it in the mornings after my Vitamin C suspension and in the evenings after my AHA Gel. My face was always smooth in the morning, not dry and flaky in some areas like it used to be before. Would I Repurchase? Yes, definitely. I want to try the other Effaclar creams though. I hear Effaclar Duo is wonderful for oily skin. I'll keep you guys posted. I got this for £9. I heard about rose hip oil and how good it is for the skin but never paid any attention to it until my friend Nida testified about its awesomeness. Now Nida has gorgeous skin so I took her word for it. She even lent me a bottle of hers so that I could test it. I liked it a lot, when I saw that The Ordinary makes it, I bought a bottle. I put this on at night after my AHA Gel and moisturizer. You know how when you're moisturizing your hair, you apply your water based products first then lock it with an oil? Same thing I do with my face. I always put the oil last and it helps to lock in all the other products. Rose hip oil helps fade scars and fight lines and wrinkles. It's not greasy at all and my skin absorbs it pretty quickly. The only con for me is the scent, I don't like it at all. The price is wonderful because I know my bottle will last me for months, if not all year. All you need is one or two drops and you're good to go. These are the products I've been using on my skin and I can see a difference. My face is always smooth and my complexion is even. I still have my spots on my cheeks but those will obviously take time to clear up. I know I'm supposed to have like before and after pictures but I honestly forgot about that lol. I love La Roche Posay products work wonders! I've recently been trying african black soap as a cleanser in the evening and its magic!! Now i really need to take my skincare serious, and make an effort. Never hard of these brands, but will be on the look out! Hey Demilade. I have acne scars too and I decided to stop wearing makeup everyday. Don't know if I can stop it altogether though, at least not for now. I'm currently using Vitamin E supplements and so far I think it's working slowly. My left cheek is getting visibly smoother and clearer, but right cheek is still scarsville, lol. Maybe you should take pictures (if you still haven't yet) to monitor your progress. Then when your skin is finally clear you can tell us everything you did. I have really never had to pay attention to my skin...I am team rub and shine. Great post girl! Loved your selection, because I'm always on the loop to find new good products to enhance women's natural beauty. Those are a very good recommendation, thanks for sharing! Aww, I wanted to see pictures. Sometimes I get bored with always having to wash my face and stuff even though I know how dangerous it is. I don't joke with exfoliating tho. Sometimes I use a store bought exfoilant and other times honey and sugar. Works wonders. Happy New Year dear. Lovely post. I definitely find i can't enjoy wearing makeup when my skin is acting up. This is relate-able. I hope your quest for good healthy skin is achieved. I love my skin my face especially. I hate break outs which leads to scars. thanks for sharing and I hear vitamin E oil is also good. I started wearing less makeup too when I went through a bad breakout a few years ago. 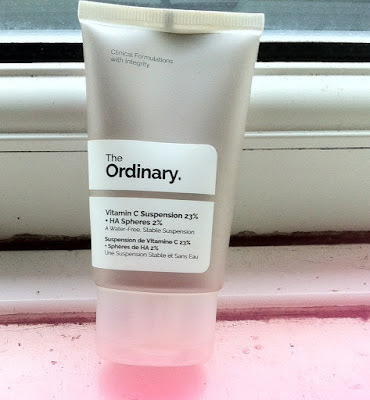 I love La Roche Posay and quite a few products from The Ordinary. I might try the rose hip oil.